This guest post is contributed by Lucia Monlia who works in the travel industry and is also a wannabe travel writer, with a passion for family holidays and camping holidays. The big trend in holidays over the past few years has been the “staycation”, when budget-conscious families decide to holiday at home rather than jetting overseas for their fix of foreign beaches and sun. Family holidays form an important part of this trend, and for families with small children or babies, staying at home can be a practical and much simpler option. But is a holiday in the UK ever going to be as good as going overseas? From a purely practical point of view, taking your own car on holiday and not using an airplane is far less stressful for parents and young children. Having your own car with you also means the boot can be stuffed to bursting with all the favorite toys and comforts of home which cannot be squeezed into a suitcase, especially given the tiny baggage allowances many charter airlines have introduced. Staying at home also means ready access to familiar foods and drinks, and there are no concerns over issues such as safety of drinking water or being bitten by Mediterranean insects. Accommodation-wise, there is a massive choice throughout the UK to suit all requirements and all budgets. Most families find that a self-catering holiday suits their needs far more than a hotel and the industry has responded to this with an increasing number of cottages, lodges and campsites geared up to service the family market. A quick internet search will throw up a boggling array of different possibilities, so it is a good idea to pick a specific area before starting your search. There are good sites to visit on the internet that allow you to research good locations for campsites. Despite the unreliability of the British climate, camping remains an eternally popular choice, especially with families. Camping doesn’t have to mean packing your own tent and driving off across the countryside in search of somewhere to pitch for the night. Campsites can now provide ready pitched tents or even more exotic camping accommodation such as yurts or wigwams, both of which are guaranteed to be a hit with even the most reluctant camper. Camping is working hard to shed its rough and ready image and all over the country, camp sites are focusing hard on catering to the family market. 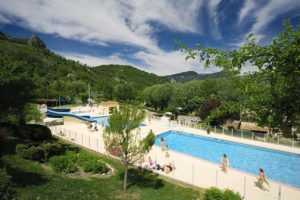 Many have invested in upgrading their toilet and shower facilities, and some of the larger campsites have excellent sporting facilities such as swimming pools, snooker tables and horse riding which can be enjoyed by all of the family. When planning a camping holiday in the UK it is wise to consider booking into one of these sites for at least part of the holiday as they provide places to escape to should the weather turn unseasonably wet. Many will also have small convenience stores, cafes or restaurants on the camp site, allowing families to eat out without going far from their tent, and giving the adults a break from cooking and cleaning up afterwards. Although upmarket camping or “glamping” has become more widely available, the real die hard campers still enjoy getting back to basics with their tents and small gas burners for cooking on. Some of the sites which only offer the most basic facilities are in the most stunning locations, and having your morning cup of tea while watching the sun rise over the Outer Hebrides or Cornish coast cannot be beaten, even in the most exclusive resorts in the Mediterranean.